Patrick is a hometown Fort Worth boy, who became interested in Real Estate as an investor in the late 80s, and then became a licensed REALTOR® in 2003. Patrick has a reputation for being his client’s greatest advocate in all aspects of real estate. Working in a team atmosphere, of a family run office, helps him in ensuring a smooth transaction for his clients. Patrick and Denise married in 1991, purchased their first home later that same year. Patrick is known to volunteer his time at schools, church and community organizations. He believes that the American Dream of owning your own home is something to strive for and he enjoys helping his clients achieve that dream! 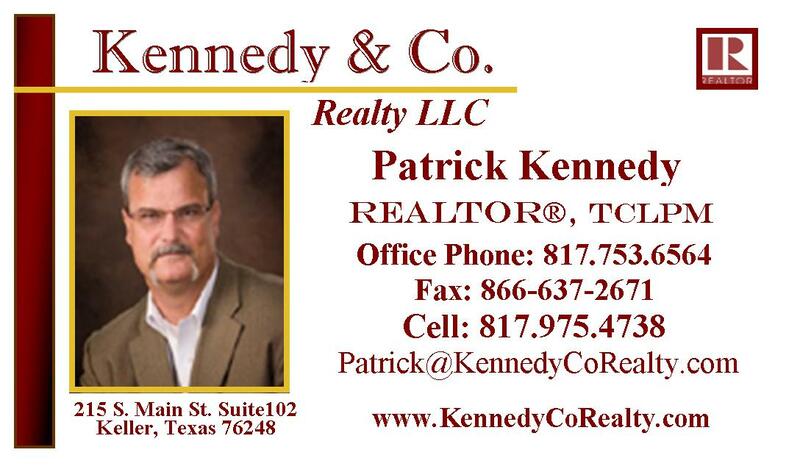 Whether marketing and selling your home or helping you to find your next dream home, Patrick will do his best for you.